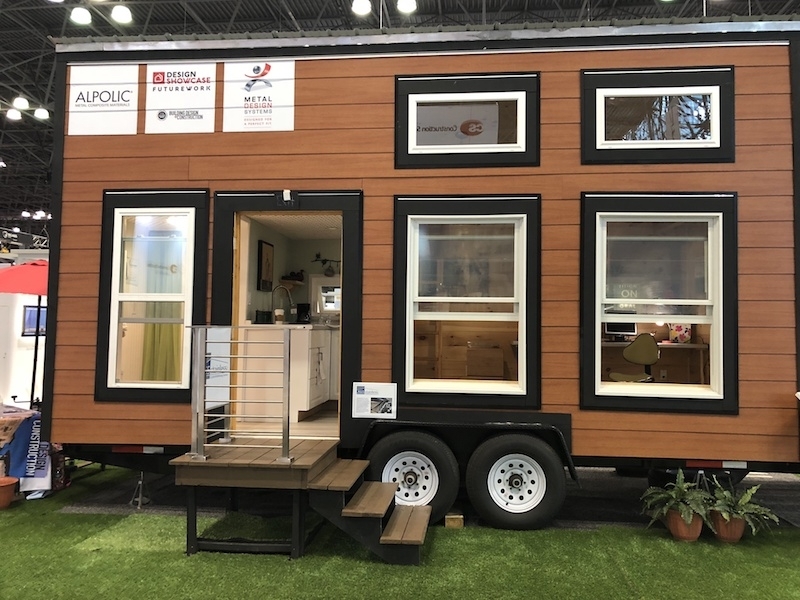 For the 2018 AIA Convention and Trade Show, Building, Design + Construction magazine debuted its Design Showcase exhibit—a one-of-a-kind tiny house, representing the “Workplace of the Future.” This unique structure, designed and constructed by Tiny House Northeast saw more than 1000 visitors during the two-day trade show, which was held in New York in June. As the exterior sponsor, ALPOLIC® turned to Metal Design Systems (MDS) in Cedar Rapids, Iowa to come up with a way to fabricate its Timber Series metal composite material —finished in Walnut— for this unique venture. Unlike most ALPOLIC® projects, the tiny house required an install capable of staying in place while the structure it was applied to was actually rolling down a highway. Read more and see our video here.